Joe Strummer's band The Mescaleros, are going through the final sessions the former Clash singer recorded with a view to releasing their final album this year. They are being helped by Strummer's widow, Lucinda, and his manager. It follows the former Clash star's death from a heart attack last month. He was 50. Strummer had been in the studio with the band for some weeks before his death. Originally, the band had planned to release their third album in May. A statement from the Mescaleros' label, Hellcat Records, said: "Joe Strummer and The Mescaleros had been working on their third album at the time of Joe's passing. "The band and management, along with Joe's wife, are going through the recordings to figure out if the album was close enough to completion for release, and most importantly, if they feel this is what Joe would have wanted." No further details of how many songs had been completed have been given. 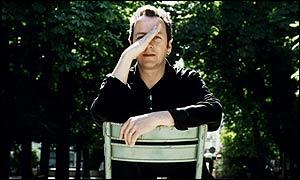 A spokesman for Strummer said the album could "possibly" be released as early as May. "The album was certainly meant to come out in May. That's why they're having to go through the tapes now." Strummer, who led the punk band Clash to stardom in the 1970s, released his first album with The Mescaleros, Rock Art and the X Ray Style, in 1999. They released a follow-up, Global A Go-Go, in 2001. The band had played a benefit concert for striking firefighters in the weeks before Strummer's death.